Do you have friends who are sassy scrapbooking sisters? Man, those ladies really know their way around maintaining memories! I feel like I am personally pretty good about setting my family up to MAKE memories, and I may take pictures and what not, but admittedly a lot of those don’t go past the camera roll in my phone. (Anyone else in that boat?!) Even in that circumstance, that is a method of memory keeping for ME, but what about the kids? 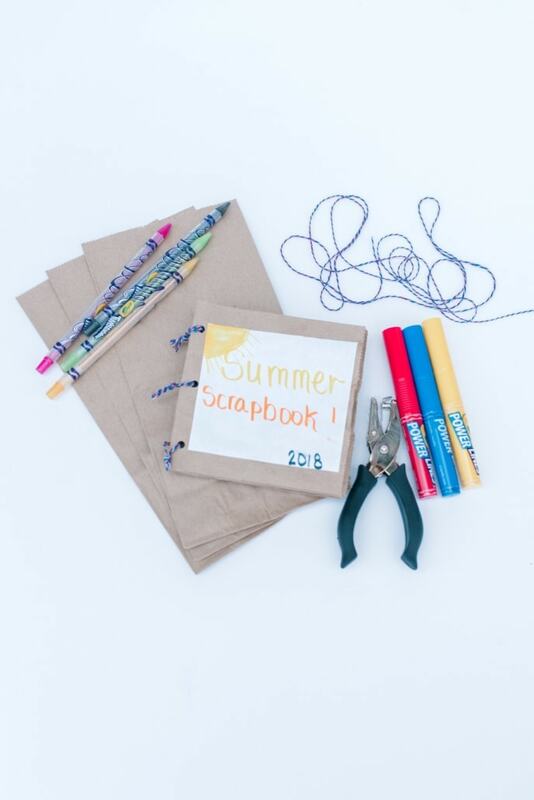 I was talkin’ with some mommas about this and we decided how great it would be to let the kids create their very own Summer Scrapbook! I love that the materials used for this project can be things you totally already have at home! We used some brown paper lunch bags, yarn or string, markers, colored pencils, paper, and a hole punch. I am so excited to give Brady the opportunity to record these memories in his own way, AND for him to get to decide what is important enough to him to add to his summer scrapbook! What I consider the highlight of a summer trip to the zoo may not be what he would point out as the best part of the experience! So it excites me for him to be creating something of his own that he can revisit and take his own trips down memory lane. 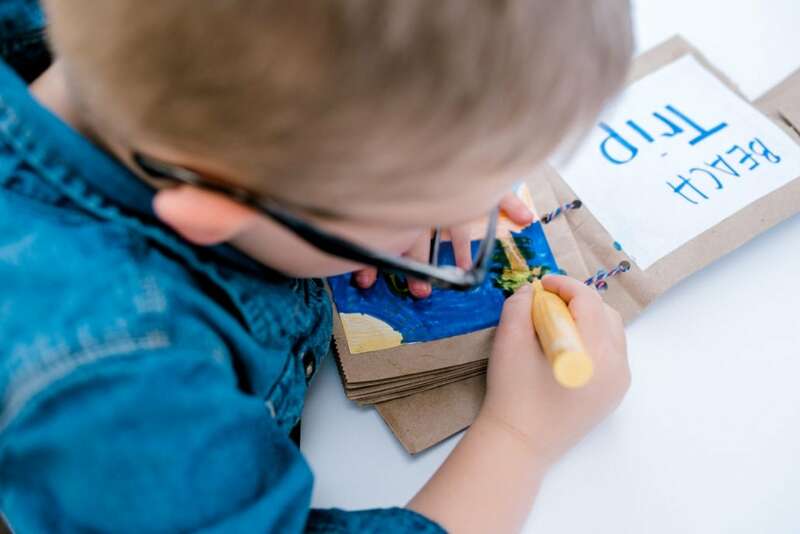 Utilizing the lunch bags as pages also allow the kiddos to slide items like tickets or keepsakes down inside the bag like a folder. Adorable Multi-tasking Memory Keeper! Is anyone else loving this idea?! We are still a few weeks out from the start of school here, if you’ve still got a chunk of time before the kiddos head back and you are in the market for a few more summer activities, check these out!